Complete Website Redesign Handbook - Chapter 2 "Planning"
The conversation about redesigning a company website usually begins when someone points out that traffic is down, conversions are weak, or just that the design looks outdated. You aren’t attracting customers, prospects, students, donors, or whichever constituencies you need to be successful, and your team agrees it’s time for a change. Because redesigns can be so expensive, complex, and time-consuming, building a case and getting a budget is often challenging. They also involve much more than just design work; there’s SEO, navigation, and content creation. Fortunately, there are plenty of good reasons to start the website redesign process, and identifying them early will help you build a bulletproof case for a serious overhaul. If any of these eight are true for your website, it’s time to get started. 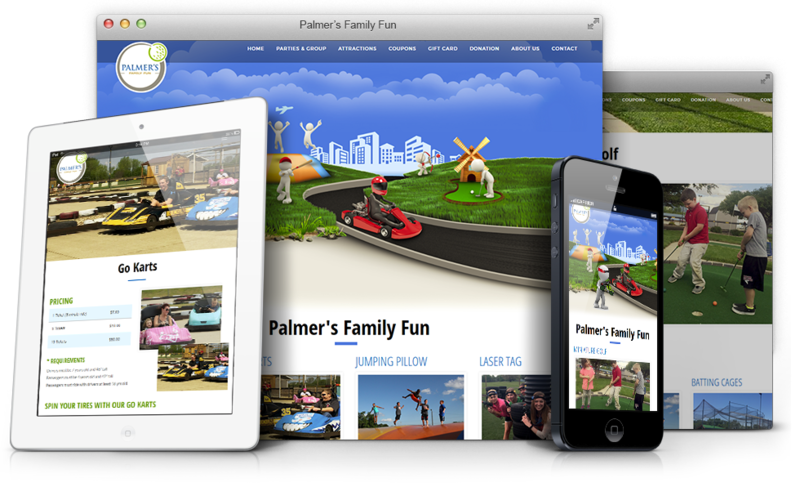 Your website should look great on every device. It’s not that all your prospective customers are on the go, but with mobile Internet usage overtaking PC traffic for the first time in 2014, their online habits have changed. Having no mobile-specific web presence, or building a mobile-only site, is an outdated approach that leaves you with two sites to manage at best, and zero mobile customers at worst. Just putting up a website is not enough. It’s not a static brochure that can stay the same for all time. To keep your site ranking well in search, you have to continue creating fresh content to keep Google crawling back. If your website was designed using Flash, or works best as a series of content light tableaus, it’s time for a change. Prevailing trends in web design, and sometimes within a specific industry, lend themselves to websites that look so similar that none of them are memorable. As your primary digital outpost, your website needs to communicate your brand in a strong, distinct way. If your website looks too much like competitor websites, it’s not helping you stand out, and might even inadvertently repeat some of their worst practices. Break away from the pack and offer potential customers a website experience that feels like a breath of fresh air. Even savvy marketers and web designers occasionally go for “shiny” instead of “useful.” Above all, your website should make it absolutely clear what your company or organization does, what you offer, and where and how customers can get it. If your team isn’t impressed with your website, how do you expect to win over someone who doesn’t have a relationship with you? Someone who works in your company at least knows to walk over to the accounting office to ask a question, but what will a brand new visitor with zero information do if unable to find critical information? Leave. If you’re embarrassed to send people to your website, that’s a red flag. Your social channels are critical to amplifying your signal past your website, but your website is the core of your content marketing and digital business strategy. It’s where potential customers can request more information or complete a transaction. If it doesn’t hold up to your other online channels, it’s time to upgrade. This is indicative of a bigger problem than just your website design, but site effectiveness is a major contributing factor to your overall marketing success. If you don’t have the ability to measure the impact your website has on driving leads or closing sales, you will need to establish the right KPIs and measure accordingly. If you do have metrics in place and they show zero net effect from your web efforts, that’s a good indicator the breakdown is happening in your web presence, and it’s time to redesign your website. If you know for a fact that your current website is costing you inquiries, leads, or sales, then not redesigning is costing you revenue every single day. Can you afford not to fix the leak? Any of the reasons listed above is a good foundation for your project case. If two or more of these ring true, running your website is already costing you money and losing revenue. 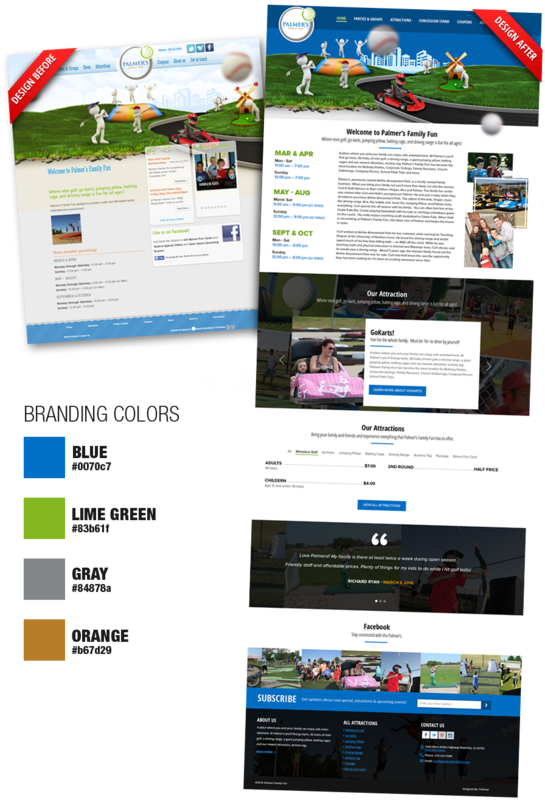 Redesigning your website can dramatically increase its marketing effectiveness, help you close business with highly engaged prospects, and look great while doing it. If you’ve successfully made the case for a website redesign, now there are a million things you could do to get it up to date. So where do you start? How do you act based on what is most important to your business or institution? It all starts with goals. Setting goals is a critical part of building any successful organization. You do this at the strategic and mission level, at the department or team level, and at the individual level. As a tool responsible for business and revenue growth, your website deserves the same level of focus and attention. Although you can have multiple business goals for your website, prioritizing a limited number will help focus the redesign process on achieving your desired outcomes. There’s an old proverb about chasing two rabbits at a time, and catching neither. A similar rule applies to your goals. In general, leading with the goals that drive new and recurring revenue should be your first concern. Everything else is secondary, and should ultimately support the main goals. It’s also important to remember that even an outstanding website redesign is not a magic bullet, nor the best strategy for meeting all your goals. A bold design, clear calls to action, and strong communication of product benefits, company culture, and engaging, valuable content seem like nobrainers to add to the redesign project list. Attracting new customers and talent can benefit from a similar approach on the web, but that approach is not sufficient every for audience. 2. What are the main business and strategic goals for your organization? 3. What does your website need to do to support your business? This should help you articulate your highest priorities, and focus on no more than three big ones to address with the project. Ultimately, being able to connect a redesign or any undertaking to your business goals is the best way to justify the investment and get your leadership team on board. The good news about budgeting for a website redesign is that there is a solution for every budget size. The bad news about budgeting for a website redesign is that there is a solution for every budget size. You know you could get a new website for $500,000 or for $50,000, or your boss’s nephew who’s in college could do it for $500. Deciding how much to spend depends on available capital, expectations of the outcome, and many other factors. There’s a design project truism you might be familiar with: fast, good, and cheap—pick two. Depending on your timeline, goals, and available resources, the right size budget will differ. To simplify this complex part of the process, it helps to get a better understanding of what could be included in the project price tag, and all the items that carry their own costs. Design service—this will include a thorough review of your website, its goals, primary audience, and a comparison against your competition, as well as websites you might want to emulate. This only goes as far as visuals and doesn’t always include coding. Development—development is the portion of the project where a web developer actually writes the code for your website to properly render in a web browser. Depending on the skill set you have in house, or how much you want to control project costs, development can be executed by agency staff or members of your team. When making this decision, bear in mind how much time you can afford from your in-house developer’s daily tasks in order to write code for new pages. Implementation—the implementation of your designs is the process of converting the developed code to templates within your content management system that any content contributor can use to create and update pages without being able to alter the design. Web content management system—your team will need the ability to manage and update website content on an ongoing basis, long after the site launches. A web CMS is the best way to make that easy. Content management systems are usually proprietary software with their own license costs. Some open source solutions have no immediate price tag, but will require additional custom development and implementation from a design partner, and that means incurring more cost. The latter often means the initial cost of redesigning and launching a site is lower, but the ongoing cost is much higher. Do your research to understand your options. Website hosting—a website needs somewhere to live, as does the CMS it runs on. That place is a server. Some businesses have the resources to do their own hosting, but there are many hosting and cloud solutions than can manage servers and software for you. These could carry additional costs and should figure into the project budget. Content creation and editing—without content, your website is not worth much. Just as a bad design can make great content irrelevant, poorly written and organized content can undermine the power of a great design. This is another part of the project you can take on with your inhouse team, with the understanding that it will consume a lot of time, or decide to outsource at least in part. Search engine optimization—if you’re ready to make a major investment in your website by redesigning it, there’s no better time to engage the services of an SEO firm, but this of course introduces added cost. Read the search engine optimization section in the Pre-Launch chapter to decide whether to include SEO in your project budget. Ongoing support and future changes—the redesign project might be complete once your website is live, but the website itself is never really “finished.” You will continue to update content, modify design, test performance, and optimize for conversions. Whether you can take on these functions internally or want to outsource them to a third party is going to affect the ongoing cost of keeping it running. Continue reading - Chapter 3 "Preparing"